august. the. list. // back-to-school - bitte.und.danke. Please forgive me for once again uploading my monthly installment of "the list" so late into the month. This time, I blame it on vacay, which totally threw my editorial calendar for a loop. With August serving as a prime BTS (back-to-school) month, I've decided to curate my picks this go-around with school in mind. While I, unfortunately, won't be heading back to school on Monday (the struggle is real over here), I personally love back-to-school shopping. New wardrobe + school supplies — sign me up! Quitterie Pouch (Delfonics) // Ah! Anything by Delfonics, please! 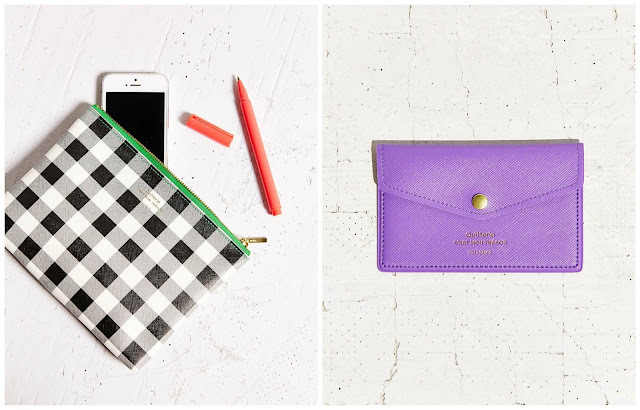 I can't get enough of this cute gingham/check patterned pouch. It would be perfect for stowing away all of your school supplies, stray hair ties, iPhone and everything else in-between. Envelope Card Case (Delfonics) // I'm not going to tell you to ditch the lanyard, but this card holder is pretty darn cute. I'll let it speak for itself. 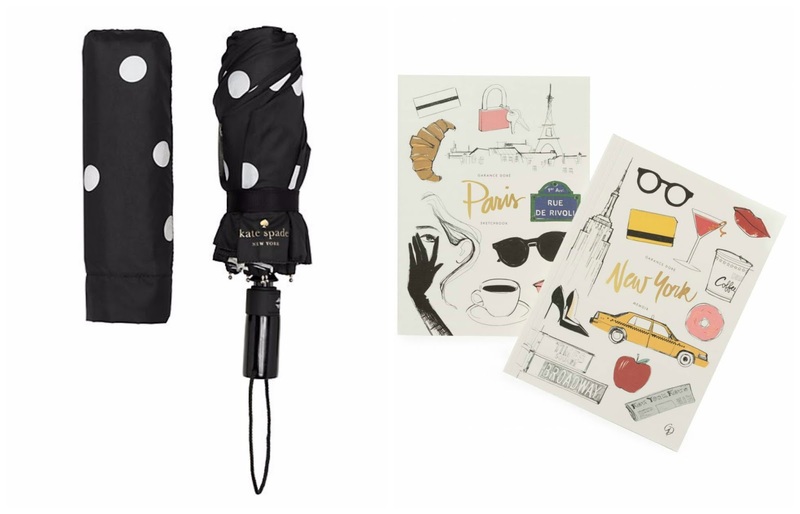 Black and Cream Deco Dot Travel Umbrella (Kate Spade) // Nope, it's never cute to walk around like a soggy, wet dog during torrential downpours. Do yourself a favor by investing in a rain jacket and umbrella now, so that you can avoid a rainy day conundrum at all costs. This polka dot option a la Kate Spade is the epitome of chic. New-York Paris Everyday Memori Notebooks (Rifle Paper Co.) // Over the course of my undergraduate and graduate career, I inevitably learned to become a real notebook snob. (Sorry, Five Star no longer cuts it for me.) Moleskine is my absolute favorite with Rifle Paper Co., Rollbahn and any stationery by Kate Spade following closely behind. 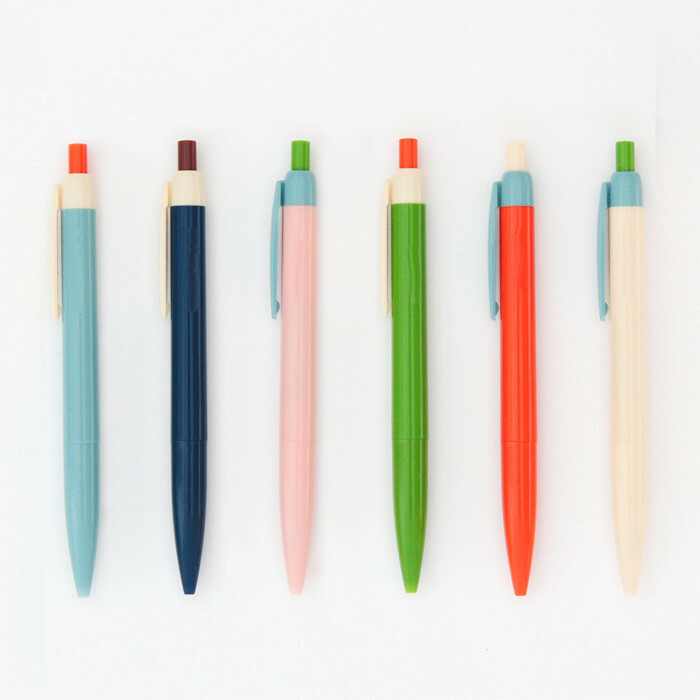 Color Block Pen (Poketo) // I don't joke around when it comes to my writing utensils of choice. My favorites are as follows: Staedtler, Stabilo, Muji and Le Pen. These color block ballpoint pens are pretty darn cute, too (I have the turquoise one!). Flutter Mini Skirt in Vintage Scarf Print (J.Crew) // I'm an absolute sucker for skirts and proceed to add more (AND more) to my collection by the month. This printed blue number has back-to-school written all over it. 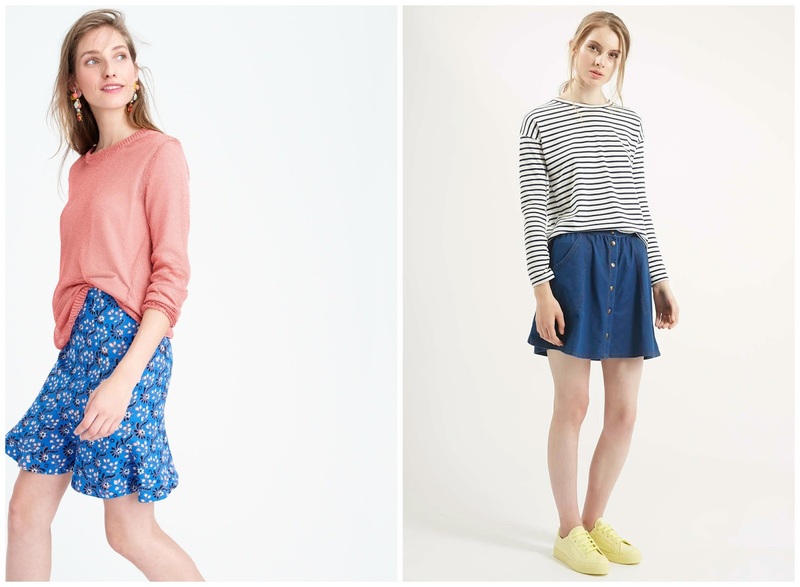 Pair it with a lightweight sweater, ballet flats and your favorite accessory for an A+ look. '70s Wash Button-Front Skirt (Topshop) // In case you haven't heard, button-front denim skirts (and basically anything from the '70s for that matter) are going to be majorly trending come this fall. I especially like this one from Topshop as it has a more "flippy" A-line silhouette than others. Now, go forth and channel your innermost Alexa Chung. The Remy Boyfriend in White (Industry Standard) // It only seems fitting to invest in a new pair of denim for the school year. Instead of your traditional blue jeans, however, these white boyfriend jeans by Industry Standard would be a great alternative. 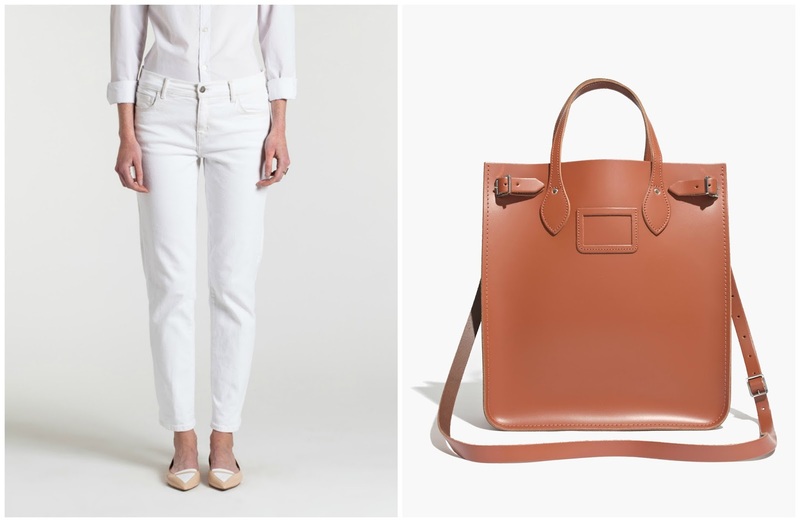 Leave the "no white after Labor Day" rule behind by flaunting this effortless white pair all this fall (and beyond). North South Tote Bag (The Cambridge Satchel Company) // Despite being on #TeamTote all through college, I have to admit that backpacks these days are looking so chic. Regardless of whether you're more of a tote kind of gal or prefer the latter, Cambridge Satchel has got you covered. If the tote above isn't your cup of tea, then they also have the most stylish backpack everrr. I'm just not sure how much it will hold?! 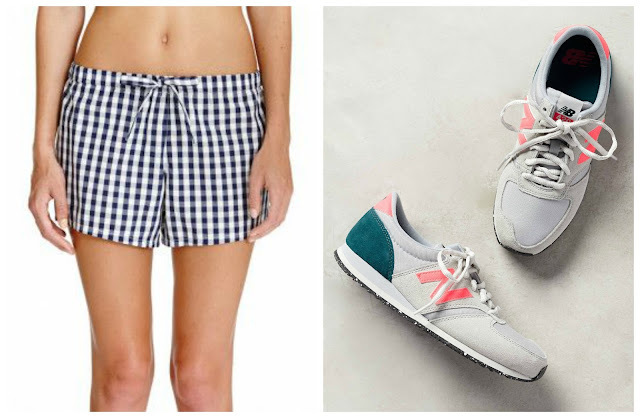 Paloma Pajama Short (Sleepy Jones) // Whether you're just starting college or not, cute PJs are completely necessary. Personally, I'm a fan of printed pajama shorts + a casual tee/tank. While they're a bit of a splurge, Sleepy Jones has some ah-maz-ing loungewear options that would be perfect for lazy Sundays (like this gingham pair). Doing nothing has never looked so good. 420 Sneakers (New Balance) // I don't need a new pair of sneaks right now, but New Balance has been killing it lately with their rad color palettes. One thing's for sure: These will definitely make you feel more inspired to work out and log those miles with your Fitbit. What are your back-to-school essentials? Share them with me in the comments below or link to one of your curated BTS posts!